Since they’ve settled in Washington, arguments have been made of who belongs to the Nationals. Do we think of the glory days as “our” 1994 Expos with great players such as Moises Alou, Pedro Martinez, Larry Walker and John Wetteland? And while the Twins have rightfully brought Killebrew with them, it just doesn’t seem fair that they get Walter Johnson. He’s 100% DC… he’s even a high school in Bethesda. But there are 2 teams in the history of Washington that aren’t claimed, and we can be certain that at least some of our heritage lies with them. The Washington Nationals and the Washingt on Senators have had several incarnations before the Senators/Twins franchise, but only 2 of these lasted more than 1 year. They both played in the National League, prior to the existence of the AL. It can be argued that the 1880s teams were still playing before modern baseball was around, many rules were the same, but pitchers still threw from 45 feet away, and it took a while to determine that it should only require 4 balls for a walk. But by 1893 almost all the rules were the same as they are today. Regardless of the differences, the game was much more similar to today’s game than it was different. These forgotten Washington teams were in the NL and they never, in their 13 years of cumulative existence, had a winning season. The stadium was called Capitol Park, but contemporary sources referred to it as the Swampoodle Grounds. After doing his own research years ago, he found that “Capitol Park” had been located at the corner of North Capitol St and Mass Avenue, NE, with home plate situated near that corner, with the field fanning out northeasterly from there. Here is a link showing that spot. That’s the Old Post Office building now (you know, with the Capital City Brewing attached) and while it’s very close to Union Station, it is actually about a block over. His location is more descriptive anyway, indicating where home plate is and all. He also noted that ownership actually preferred to call the team the Statesmen, although Nationals was used as well. The stadium did have some historic moments – Hall of Fame pitcher Pud Galvin won his 300th game there. As a sidenote, here’s an interesting story on Pud Galvin and steroids that were basically testosterone drained directly from a monkey’s… um… testosterone-makers. This team started in the final year of the American Association, and were known as the Washington Statesmen (hey, it beats “Wizards”) but when the league folded they continued on in the National League. Clearly those baseball forefathers saw the wisdom of playing in DC. In 1897 the Senators tried a “Ladies Day” where women could get in for free. The starting pitcher, Winnie Mercer, was handsome and knew how to play the crowd. When he got into an argument and tossed by the umpire, the women stormed the field, tackled the umpire, and tore apart the stadium. The umpire was rescued by the team and escorted from the ballpark in disguise. But enough of the teams and the ballpark, on to the stars of the team! From these two teams, the goal is to find the best players to honor, to make up the Washington all-time prehistoric team, position by position. Also, with one Hall of Fame exception, the player has to spend more than one season in DC to make the list. These are players that we can claim, and nobody else can dispute they were part of our team’s history. C – Deacon McGuire (91-99 Senators) McGuire was the longest tenured player on this team, playing all 9 seasons (8 1/2 actually he was traded to Brooklyn in ’99) and was the starting catcher all but 1 of them. He amassed 990 hits with Washington, which was the franchise high, and was a career .278 hitter. He was a very impressive defensive catcher, still holds the position’s assists record with 1,859, and won 2 pennants as the backup catcher on the Brooklyn Superbas (they didn’t become the Dodgers until 1911). 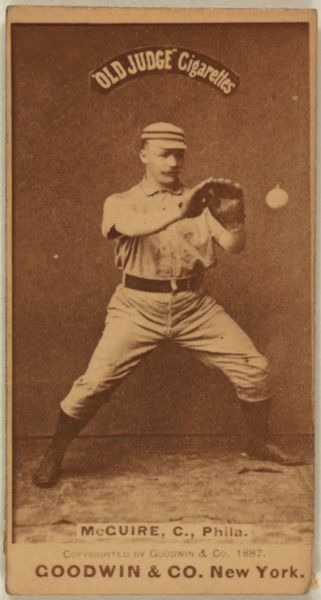 1B – Ed “Jumbo” Cartwright (94-97 Senators) Cartwright was one of the many 19th century players with a short Major League career. He did play baseball when he was younger, but he didn’t play in the majors until 1890, when he was 30, and then took a few years off (from the bigs, at least) until he joined Washington at age 34. He retired at age 37, and you wonder how his numbers would have been if this power hitter had played in the majors for another 10 years, when he was younger. 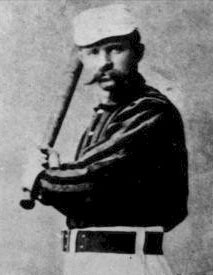 He took walks and hit for some power, his best season in DC was 1895 when he hit .331/.400/.494 and stole 50 bases, and was most famous for hitting 7 RBI in one inning in 1890, a record that stood for 109 years. 2B – Sam Wise (89 Nationals, 93 Senators) Played 2 seasons in DC, and hit .311/.375/.457 in 93. He wasn’t anything special, but the pickings are extremely slim at this position, the franchise seemed to shuffle middle infielders more than, well, today’s team. He does have the honor of being in both franchises, and he may have been Frodo’s friend in The Lord of the Rings. 3B – Bill Joyce (94-96 Senators) Joyce was a remarkable player in his short career and is 7th on the all time career OBP list at .425 putting him in between Barry Bonds and Rogers Hornsby. A truly great player for several seasons, he led the league in HRs once, and was the runner up 3 times in his career. In 1894 with the Senators he hit .355/.496/.648. Those numbers are incredible in any era. 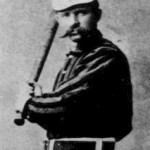 SS – Gene DeMontreville (95-97 Senators) In his two full seasons with the team, he hit over .340, and in 1896 he hit 24 doubles, 5 triples and 8 HRs, not bad for a SS. It was almost a century before most shortstops could hit, and he is only one of 6 players to hit safely in 59 of 61 games (a bit arbitrary, but when Jeter got there on May 11, MLB let us know). 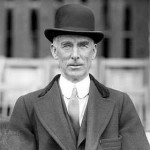 Fielding may not have been his forte, as he recorded 194 errors in just over 2 years with the team. LF – Kip Selbach (94-98 Senators) Selbach was able to hit over .300 in the first 5 seasons of his career, all in Washington. He led the league in triple in 1895 and was considered a great fielder. He once stole 5 bases in a game in 1897 against the Chicago Colts, the team that changed it’s name to the Orphans for 5 years before settling on the Cubs in 1903. He was a speedy outfielder who hit for average, stole bases and walked. CF – Dummy Hoy (88-89 Nationals, 92-93 Senators) Hoy also gets credit for playing on both teams, his nickname comes from a less enlightened time when anyone who was deaf was usually called Dummy. Regarded as the best deaf player in baseball’s history he finished his career with a .287 AVG and a .386 OBP. He had a great eye, and managed to walk 119 times in 1891 (a very high number back then, probably top 5 all time until the 1920s). He was a defensive stud, one of the best center fielders and an excellent baserunner. In a game with the Nats in 1889, he threw out 3 runners at home plate (with Connie Mack catching). He is a member of the Reds Hall of Fame, and the Gallaudet University field is named after him. Also, he may have made the biggest contribution to baseball of any of these players. He is often credited with introducing umpire’s hand signals to the game. While this is disputed, it is clear that even with his ability to read lips he would often miss calls that were simply spoken, so he may have played some role. There is even a movement to get him inducted into the Hall of Fame, but it doesn’t look promising. Oh yeah, he’s also ranked 18th on the all time career stolen bases list. RF – Paul Hines (86-87 Nationals) In his 2 seasons in DC, he hit for average and power. He posted .312/.358/.462 splits in 1886 and finished top 5 in the league in AVG, OBP, SLG, hits, doubles and HRs among other things, while stealing 21 bases. His career was very good, he was technically the first ever triple crown winner, in 1878 (.358, 4, 50). Also apparently a decent fielder, Hines played mostly in the CF but also spent some time at 3B, in addition to a few appearances at 1B, 2B and SS. He actually held the record for most seasons as a starting center fielder until 1925 when Cobb and Speaker both surpassed him. Despite Hines’ longevity, Hoy seems to have been a truly remarkable fielder and takes the spot here. P – Win Mercer (94-99 Senators) The last season in which a pitcher threw over 600 innings wasn’t until 1892, and picking a pitcher for this group was not exactly easy. Mercer has the distinction of being the ONLY pitcher on these teams to have 2 seasons as a full time starter that were not losing seasons. He went 25-18 in ’96 and 20-20 in ’97, impressive for this team. He finished his career with a 3.99 ERA, nothing special at that time. The good news is, you didn’t need a big pitching staff back then. In the 1890s team were just realizing that having more than 3 pitchers might be wise. 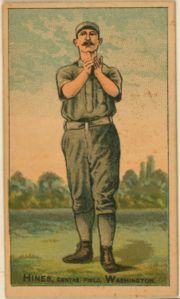 As it was, Mercer pitched over 300 innings 4 years in a row. He also hit over .300 3 times in his career, and finished with a .286 AVG. Besides, the guy’s nickname was Winner, shortened to Winnie and Win, and the ladies went crazy for him (see the above quote). He was probably the first superstar Washington baseball player. Unfortunately, he was also a tragic figure who committed suicide at the age of 28, shortly after being named manager of the Tigers. P – “Silver” King (96-97 Senators) In his 2 seasons with Washington, he only went 16-16, and was done with baseball by the end of 1897. But Rob Neyer listed him as having the second best fastball in baseball from 1885-1889, so he deserves mention. 2 other Washington pitchers made appearances on this list, but their tenures in DC, also with the Senators were even less successful: Jouett Meekin – 3rd best fastball from 1890-1894, went 13-25 and Jesse “Cyclone Jim” Duryea – 5th best fastball from 1885-1889, went 7-21. Honorable Mention – Jim O’Rourke (93 Senators) OK, a little rulebreaking here – he only pla yed one year in DC, but he was player/manager, he basically finished his career in Washington, and his lifetime splits were an impressive .311/.352/.423. He also stole some bases, his best recorded year was 46 in 1887, although for much of his career nobody thought to wrote such things down (perhaps in a hundred years people will wonder why people never used EqA in the 1960s). He ended up in the Hall of Fame in 1945, and for some reason his nickname was Orator Jim (he probably sounded a bit like Conan in the clip below). He is still the oldest player to ever get a hit in the majors, even older than Julio Franco. And the Hall of Fame credits him as “the owner of the National League’s very first hit.” All those accomplishments get him on the list for honorable mention, he doesn’t get a position because by the time he was on the Senators, he was 42 and ready to retire. 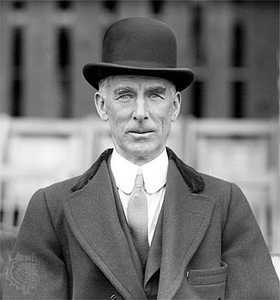 Manager – Cornelius Alexander McGillicuddy (86-89 Nationals) Another real life Hall of Famer, Connie Mack, as he was better known, ended up managing the Philadelphia A’s for almost 50 years, winning 5 World Series. But he began his career as a catcher in Washington and while he wasn’t much of a hitter, he was a great manager, so let’s give the Tall Tactician credit for probably knowing at that time at least how to manage the pitching staff back then. So what have we learned here? Well much like some recent Nats teams, the Washington teams of the past had some pretty impressive position players, but their pitching was suspect. Additionally, baseball was in serious flux at the time, allowing for multiple, non-related franchises to grow and disappear in the same city. And if anyone ever tells you that the original Washington Nationals or Senators are now in Minnesota, you can tell them the real story. But what’s most important is that there exists a list of players, some of them very good, that can proudly be considered part of the heritage of the Washington Nationals. 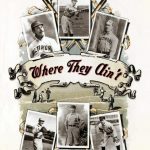 If this kind of classic baseball is of real interest to you, check out this great book, Where They Aint. 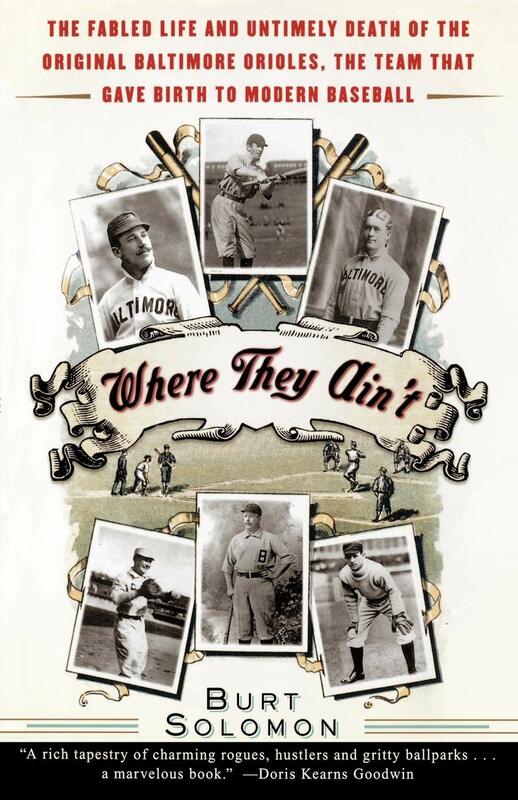 It’s about the 1890s Orioles, who had Wee Willie Keeler, John McGraw and 2 other HoFers, eventually became the New York Yankees, and helped invent modern baseball. 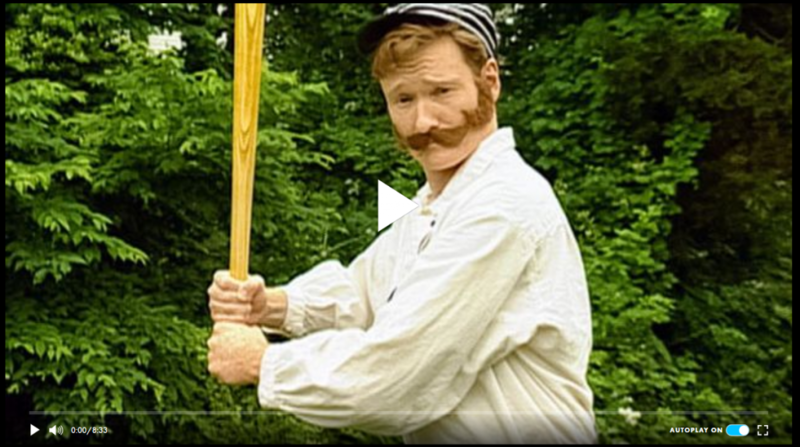 Finally, for a real look at baseball from 1864 check out this Conan O’Brien clip. It’s a little earlier than the guys listed above played, but really hilarious. Sources for this article include Baseball-Reference.com, the BR Bullpen and Wikipedia. It’s amazing what you can learn from those places. Also any place that is linked within this post was probably used as a source. “National Park” (-not- “Griffith Park” as your otherwise fine article says) was built in 1911 and eventually renamed “Griffith Stadium” in 1920 where baseball was played through the end of the 1961 season (-not- 1960 as your article says). The expansion Washington Senators had to play there one year while awaiting completion of “DC Stadium” (later renamed “RFK”). The often gets confused because the Redskins’ final year at Griffith Stadium was Autumn 1960. However, by the time Spring 1961 rolled around, DC Stadium was not ready…hence, the Senators (by then, an expansion team) were compelled to play yet another season in the old place. The Redskins began playing at DC Stadium in Autumn 1961, and the Senators, in Spring 1962.